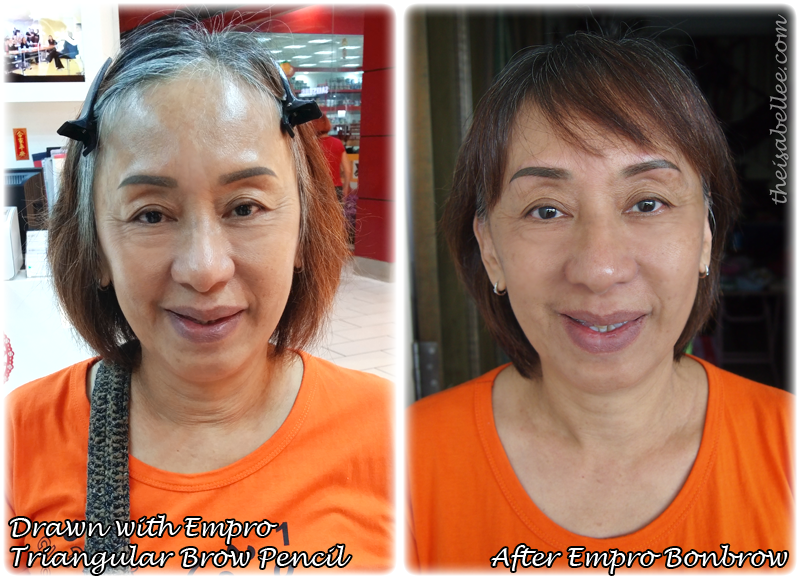 When I brought my mom to have her eyebrow embroidery done at Empro, they told me that it would last up to 1-2 years. They lied!! 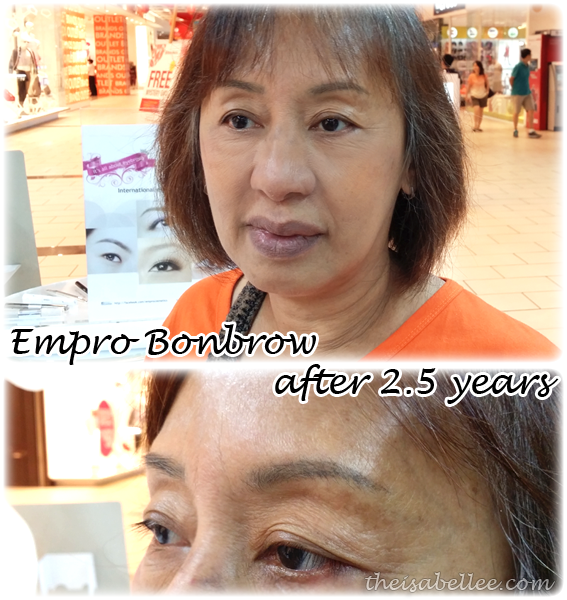 After 2.5 years, her Bonbrow is still very much visible but we decided to touchup the colour anyway. FYI, if you return to touchup the colour within 3 years, it is 50% off or even cheaper (depends on the number of months since your previous touchup). So, this touch up is only RM 440, which breaks down to less than RM 15 a month. Returned to their Ikano outlet as it's the nearest. The others are at Sungei Wang & Mid Valley. Peace was my mom's artist. As the old embroidery has faded and the shape has shifted due to natural skin sagging etc., she tried to adjust it back. The entire process including embroidery was only 70 minutes as touch ups are faster than first time embroideries. And we are done! The redness subsided within an hour and was gone by the time we got home. Looks pretty natural already and no shin chan brows. Love that it's even lighter at the front compared to some other shops where the whole brow is a solid colour. By one week, the colour had faded to become even more natural-looking. We're pretty satisfied with the shape and my mom couldn't be happier. It's a good investment for 2.5 years, no? Must follow their care tips as well. 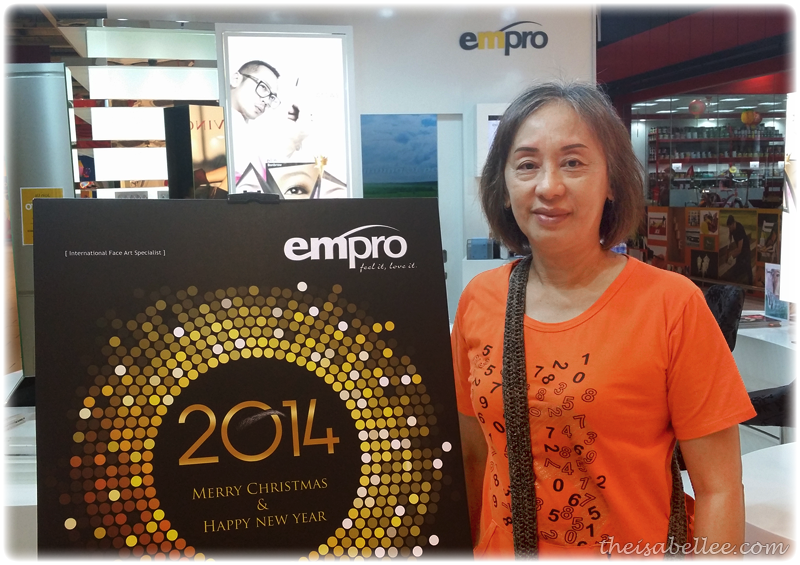 If you're interested, there are 3 types of eyebrow embroideries at Empro, each with a different purpose. 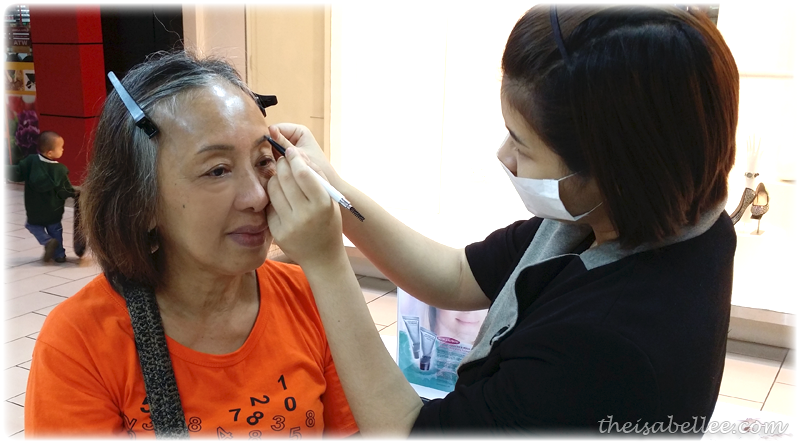 They also offer other services like eyeliner and lip embroidery, eyelash perming, eyelash extension, HD Baby Skin Treatments, and laser tattoo removal. Wow can last so long! So the full price for embroidery is RM 880? 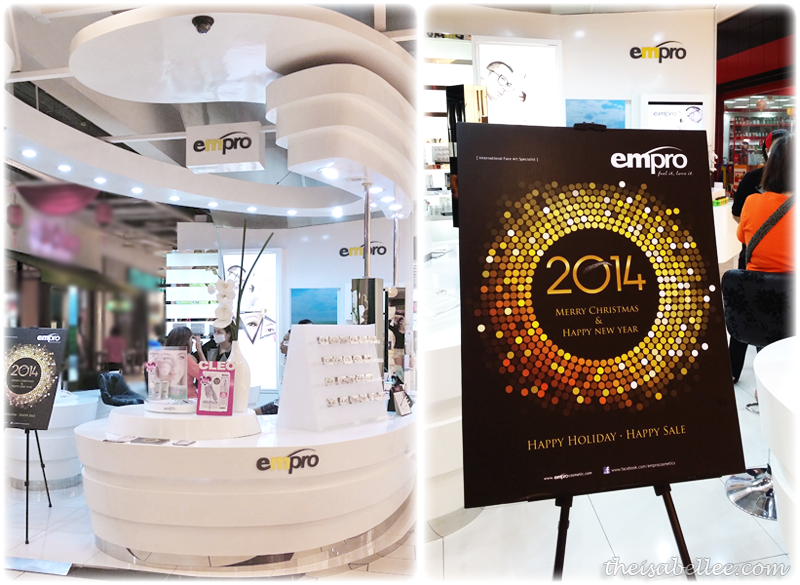 For really natural looking brows, take Ero. That one has lines only so it's like you have lots of eyebrow hair. 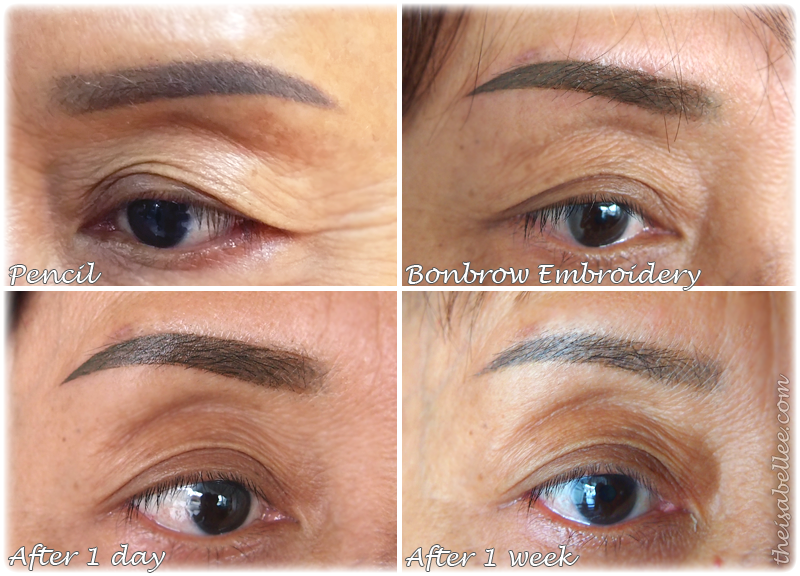 But my mum prefer to have brows that look like they're drawn already (after makeup) so Bonbrow is better. From my eyes it doesn't look like tattoo lar.